Mining giant Anglo American is making its ocean freight arrangements more digital. The miner has signed a deal with Chinsay to implement Chinsay’s Recap Manager (RM), a single cloud-based SaaS system for end-to-end contract management for ocean freight operations. Anglo American will utilise Chinsay’s system for creating, reviewing and managing digital freight contracts. “Digitalizing our freight workflow is a strategic focus for Anglo American. Chinsay’s independent platform will allow us to make faster decisions with better information and manage risk more effectively around charter parties,” said Peter Lye, global head of shipping at Anglo American. Miners opting for digital platforms to handle ocean freight has put many shipbrokers on edge this year. 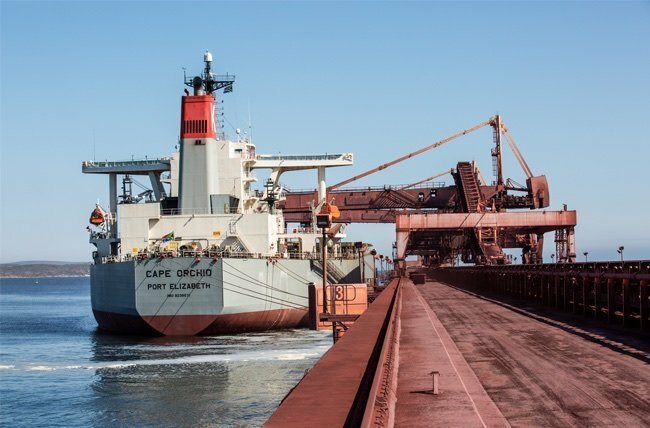 BHP Billiton, for instance, has from this January been booking iron ore freight via its own new platform, eschewing the need for brokers. “Many other initiatives are underway, so suddenly there is a sombre mood percolating through the rank and file in ship brokerage. Is a massive cull on its way?” Alphabulk analysts mused in a report in October.